Paul Ntutila is featured in BBC’s See Hear! 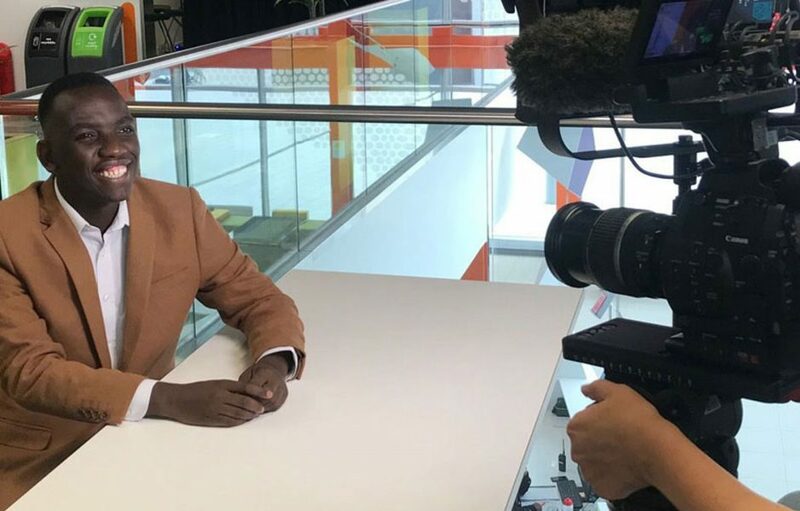 As part of Black History Month, Diplomacy, Statecraft and Foreign Policy MSc student, Paul Ntutila is featured on BBC’s See Hear. Paul is Loughborough University London’s first deaf student. Over the course of his two year course, Paul has been working with the University and volunteering in his local community in London to help raise deaf awareness. Now Paul is featured on See Hear where he talks about his experiences, his advice for future generations and why Black History Month is important – aiming to raise deaf awareness even further. Paul provides his insights into the main question in this documentary regarding what is life like when you are part of both the deaf community and black community. Does it give you extra strength to deal with life’s challenges, or does it create even more potential obstacles? You can watch Paul in See Hear on BBC iPlayer now. This is available on BBC until Friday 2nd November.